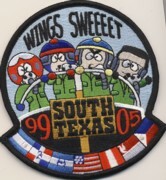 This is the class patch for the USAF PILOT training class 99-05 at Laughlin AFB, TX. It shows the characters off "South Park" and states "Wings SWEEEET" which must be their "class motto". 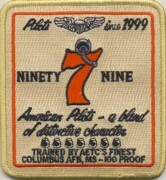 This is the class patch for USAF Pilot Training class 99-07 at Columbus AFB, MS. It is fashioned after a popular adult beverage. It says "American Pilots - a blend of distinctive character". The United States Air Force Test Pilot School (USAF TPS) is where the Air Force's top pilots, navigators and engineers learn how to conduct flight tests and generate the data needed to carry out test missions. This is the FIRST of FOUR class patches for Class 17B and does not come with velcro attached. 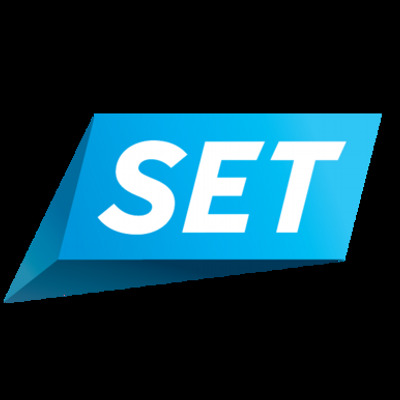 The United States Air Force Test Pilot School (USAF TPS) is where the Air Force's top pilots, navigators and engineers learn how to conduct flight tests and generate the data needed to carry out test missions. This is the SECOND of FOUR class patches for Class 17B and does not come with velcro attached. The United States Air Force Test Pilot School (USAF TPS) is where the Air Force's top pilots, navigators and engineers learn how to conduct flight tests and generate the data needed to carry out test missions. This is the THIRD of FOUR class patches for Class 17B and does not come with velcro attached. The United States Air Force Test Pilot School (USAF TPS) is where the Air Force's top pilots, navigators and engineers learn how to conduct flight tests and generate the data needed to carry out test missions. This is the FOURTH of FOUR class patches for Class 17B and does not come with velcro attached. 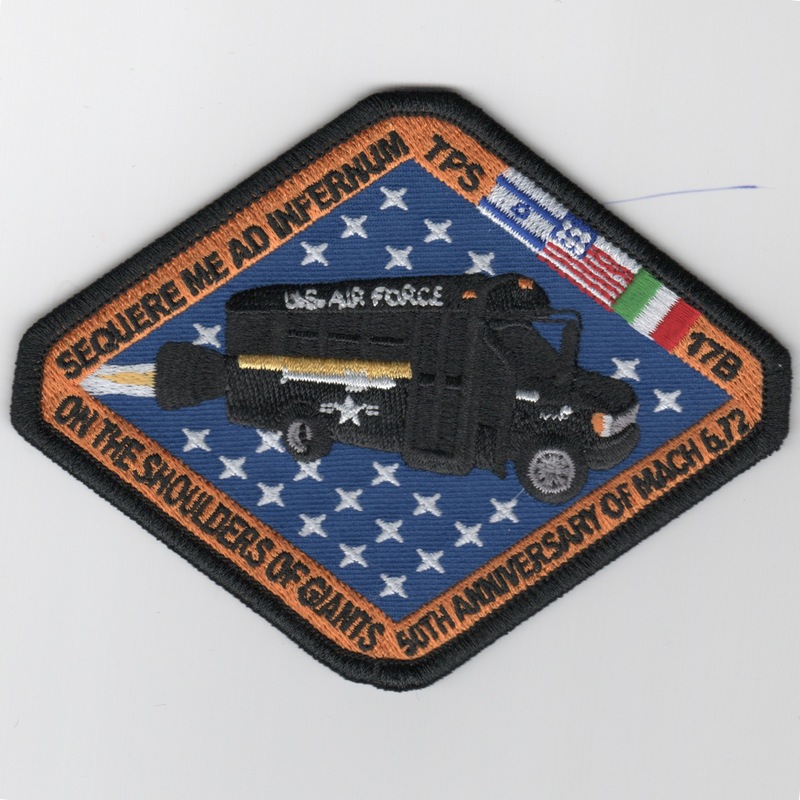 Use this link to get all FOUR of the USAF TPS Class 17B patches for a discount. This is the class patch for the Edwards AFB, CA Flight Test School class 03-06 and their motto of "money". This is the class patch for class 03-12 flying the T-6A Texan. They fly out of Laughlin AFB, TX. The Greek writing is there because the flight (D flight - Daedalus) has a Greek theme and a partnership with the Greek Air Force, however the Greek version of the T-6 is used as a fighter trainer. So far the only bases that have the T-6 are at Moody, Randolph and Pensacola has a few. 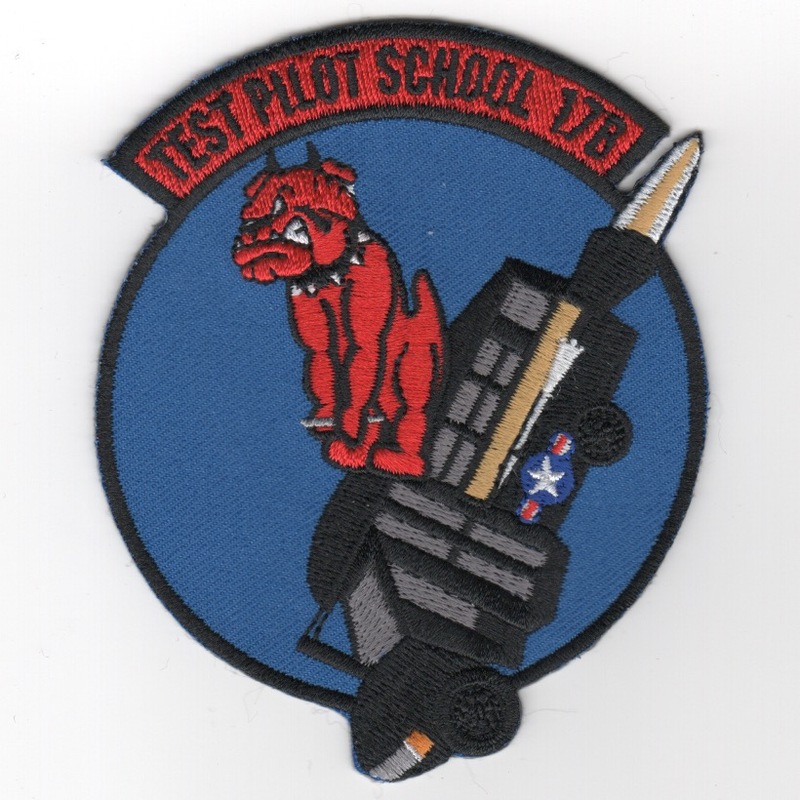 This is the Pencil-pocket patch for the class for Laughlin AFB, TX class 03-12 flying the T-6A Texan (I think). The Greek writing is there because the flight (D flight - Daedalus) has a Greek theme and a partnership with the Greek Air Force, however the Greek version of the T-6 is used as a fighter trainer. So far the only bases that have the T-6 are at Moody, Randolph and Pensacola has a few. This is the class patch for the UPT class 04-01 and says "Bad Attitude". 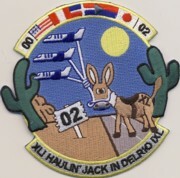 This is the patch for the "Evaluation" flight (Check Section) named the "Vultures" for the flight at Laughlin AFB, TX that flies the final flight for the students. This is the class patch for class 08-07 out of Columbus, MS. It shows the infamous tweet training aircraft and is modeled after a well know adult beverage. This was specially made for the current class and is a great hit on base. 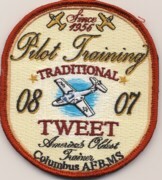 This is the instructor patch for pilots flying Joint Primary Training. It has students from all services and is located at Vance AFB and shows the wings as 1/2 gold, 1/2 lead. 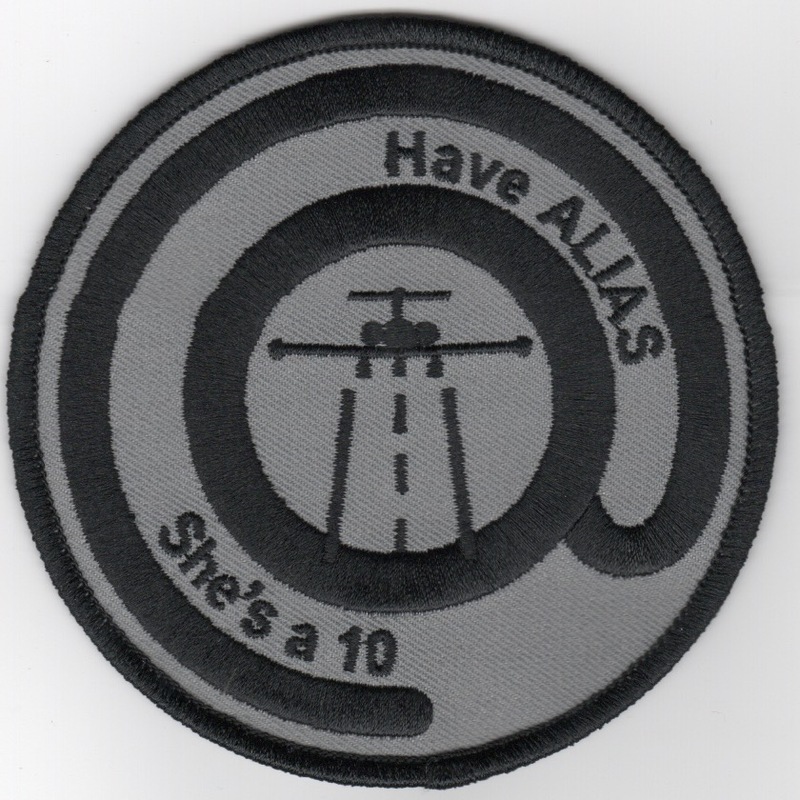 This is the class patch for Joint Student Undergraduate Pilot Training Class 01-12. It has students from all services and is located at Vance AFB. This is the UPT Class 05-06 patch stationed at Moody AFB, GA. This is the class patch for UPT class 08-02 out of Laughlin AFB, Texas. 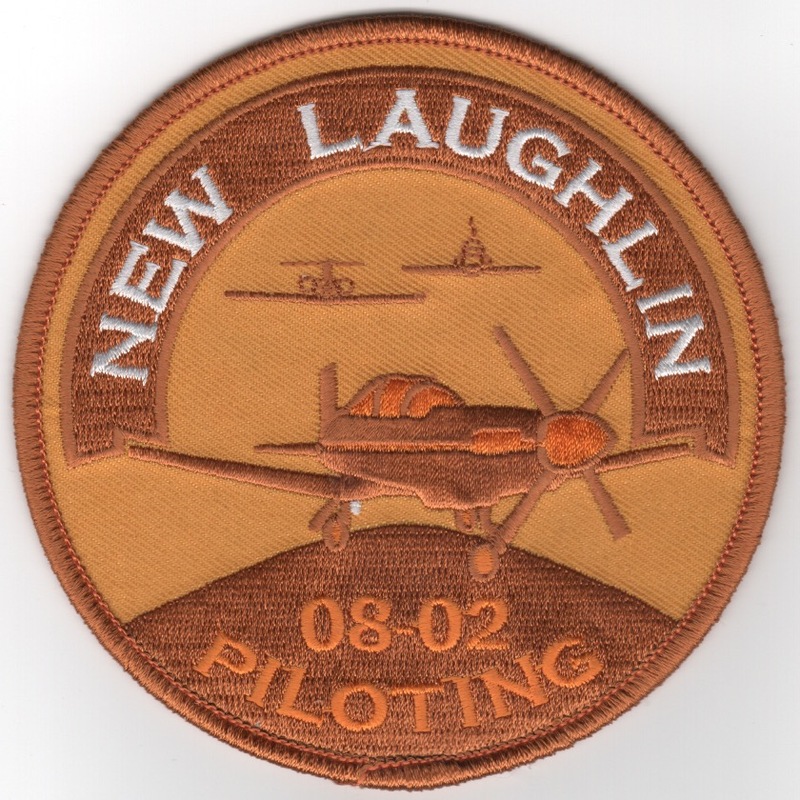 It says 'NEW LAUGHLIN' across the top and '08-02 PILOTING' along the bottom. This patch does not come with velcro attached. 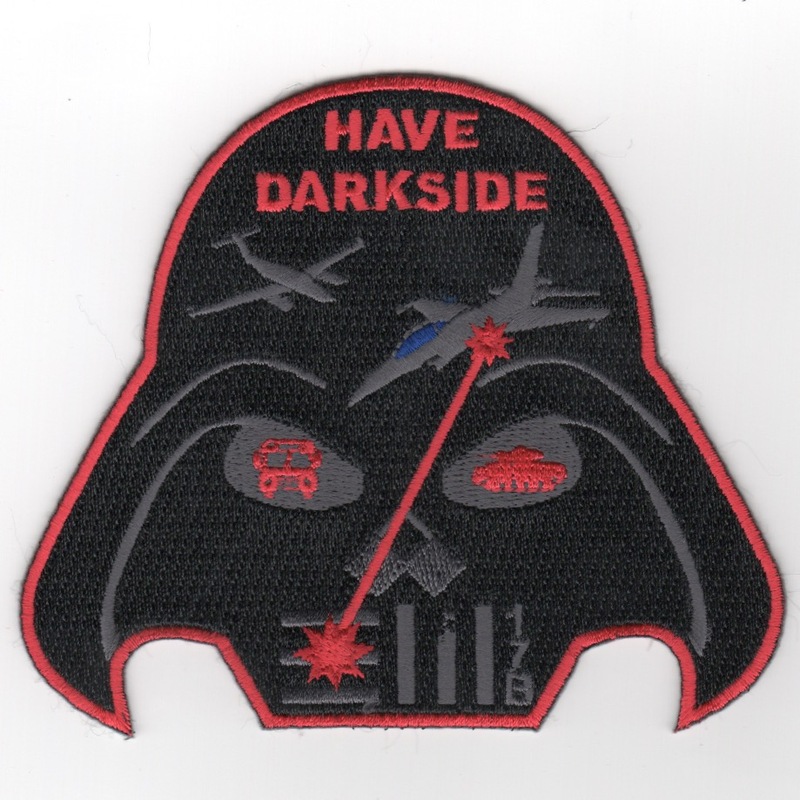 This is the class patch for Class 09-12 UPT (Undergraduate Pilot Training) located at Columbus AFB, MS. This is the SUPT patches that makes them ENJJPT (Euro-Nato Joint Jet Pilot Training) located at Columbus AFB, MS. It's a play on the STAR WARS movies by "Revenge of the Pitch" at the bottom. 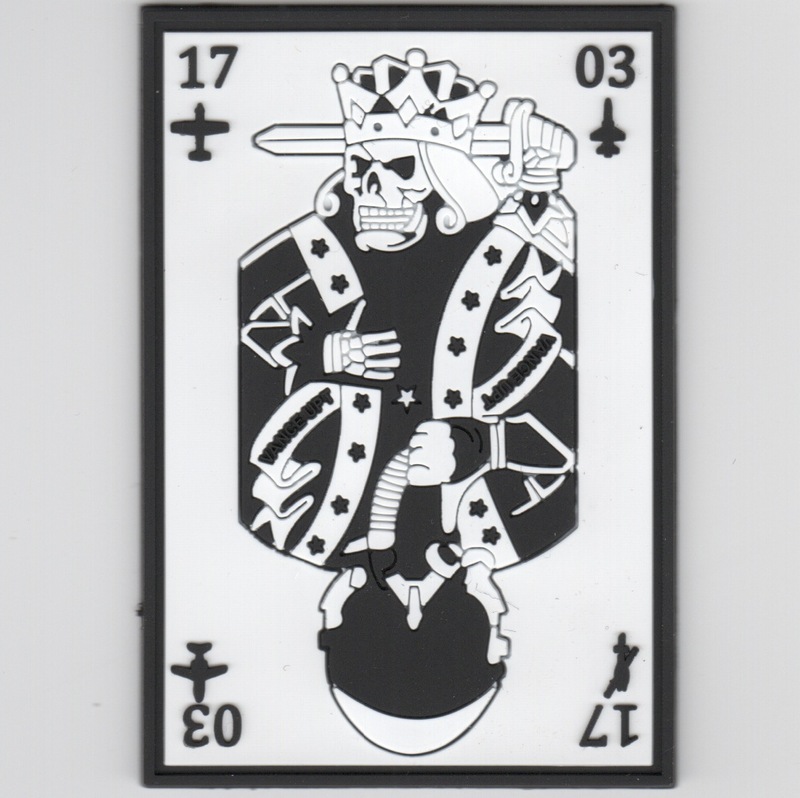 This is the class patch made out of PVC (Rubber) for Class 17-03 training out of Vance AFB, OK. 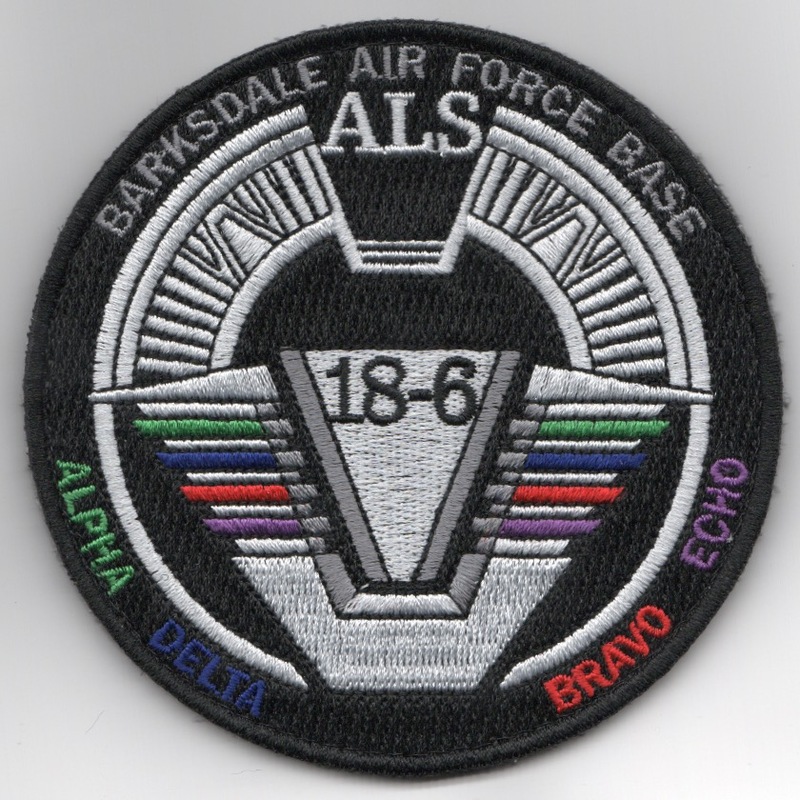 This is the class patch for the USAF Airman Leadership School Class 18-6 that trained at Barksdale AFB, LA and does come with velcro attached.. 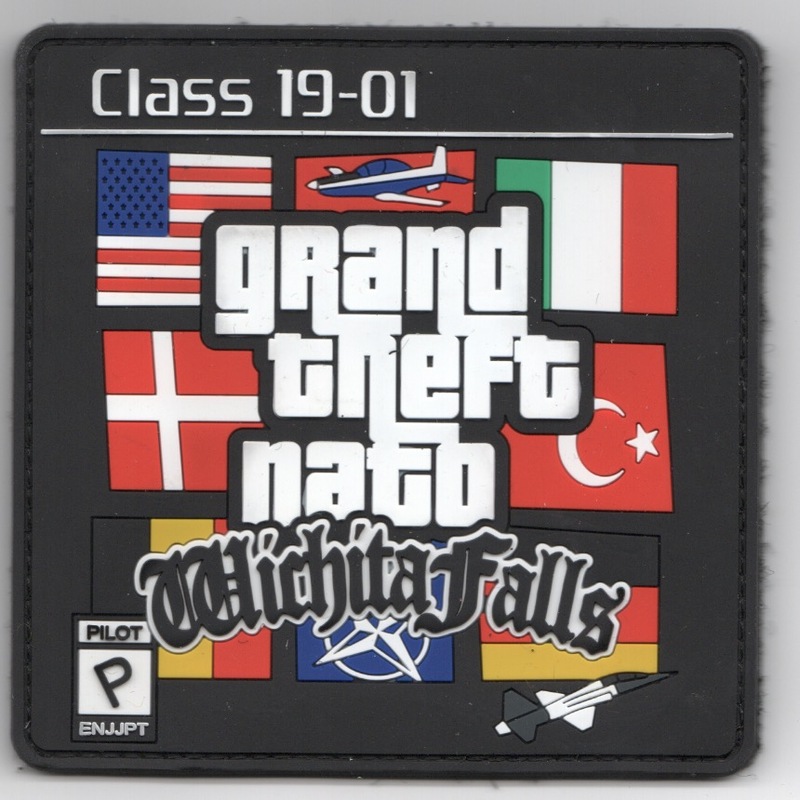 This is the PVC (rubber) version of the CLASS Patch from ENJPPT Class 19-01. It is identical to their class zap (shown below). 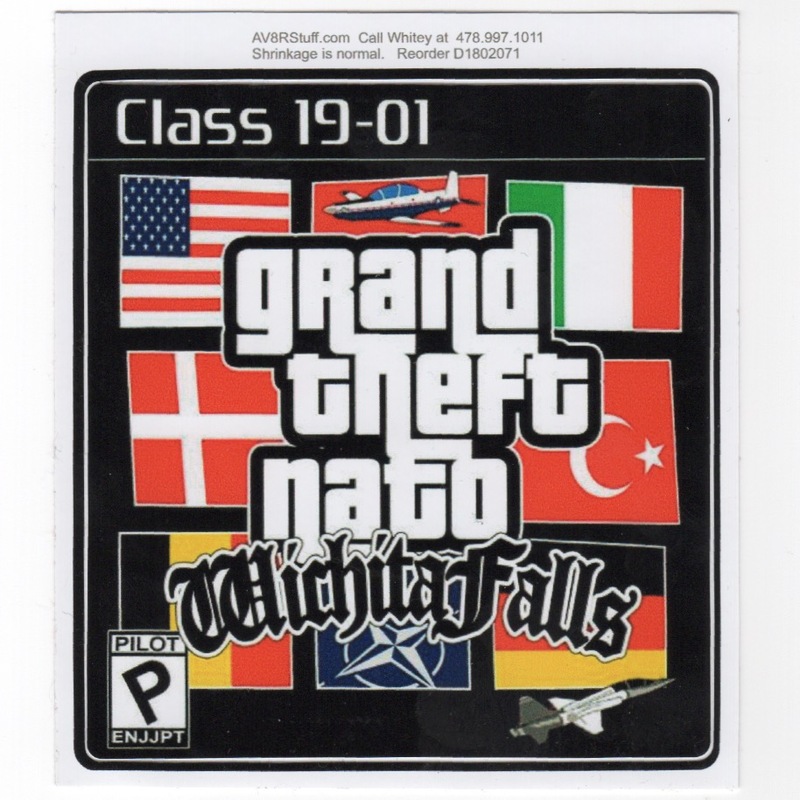 The Euro-NATO Joint Jet Pilot Training Program, established in the spirit of NATO, is conducted by the 80th Flying Training Wing at Sheppard Air Force Base, Texas. This patch does have velcro on the back. 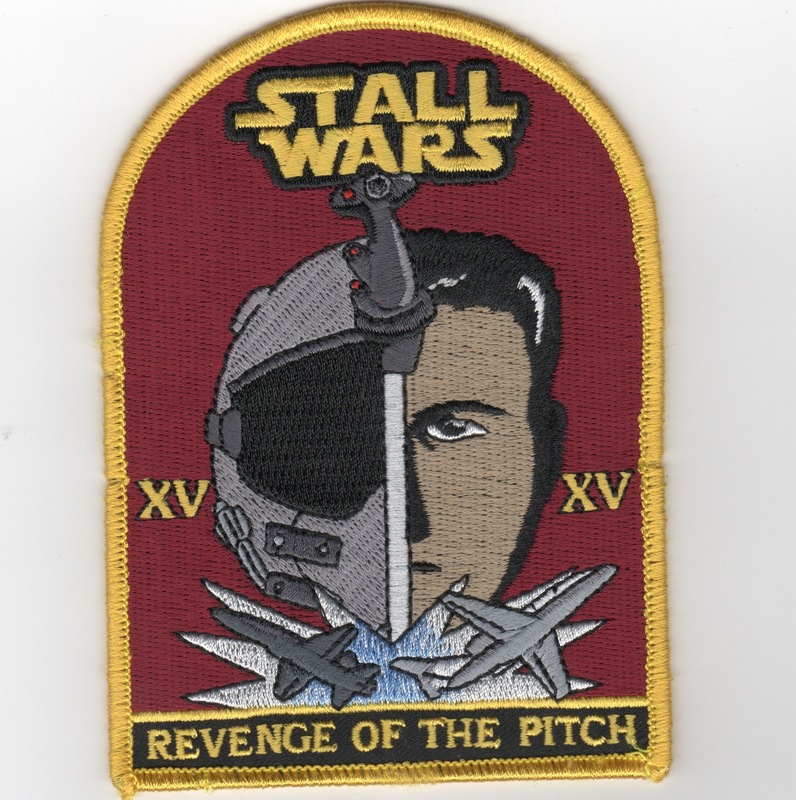 (Another AV8RSTUFF Creation): This is the class patch from 14th Flying Training Wing (FTW) Class 19-03 that fly the T-38 Talon at Columbus AFB, MS. 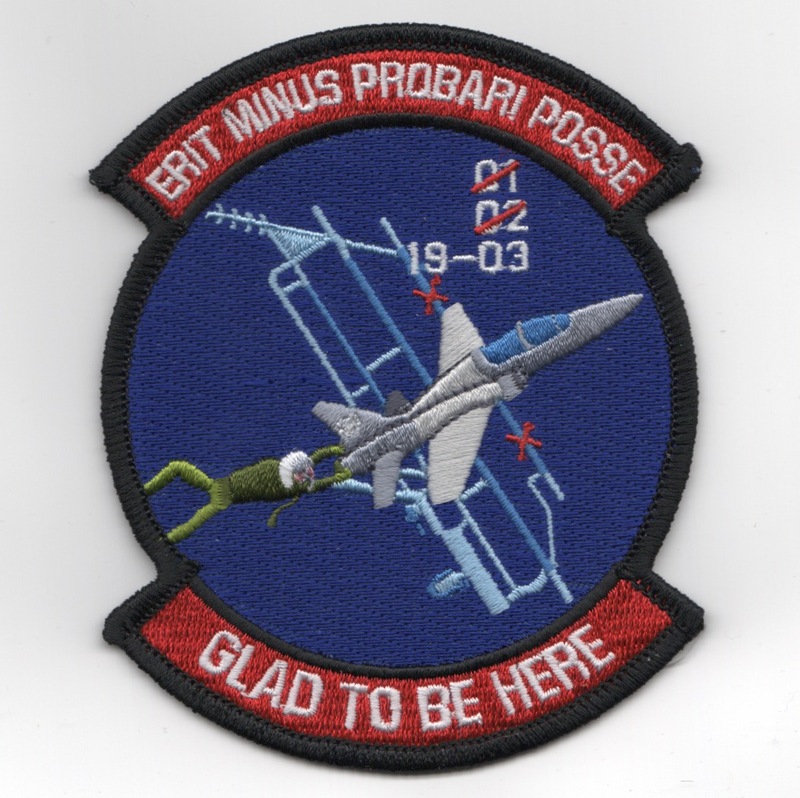 It says "ERIOT MINUS PROBARI POSSE" (top), "GLAD TO BE HERE" (bottom) and does not come with velcro attached.